The Arts N Crafts Corbel is a decorative and functional iron bracket made from solid steel. 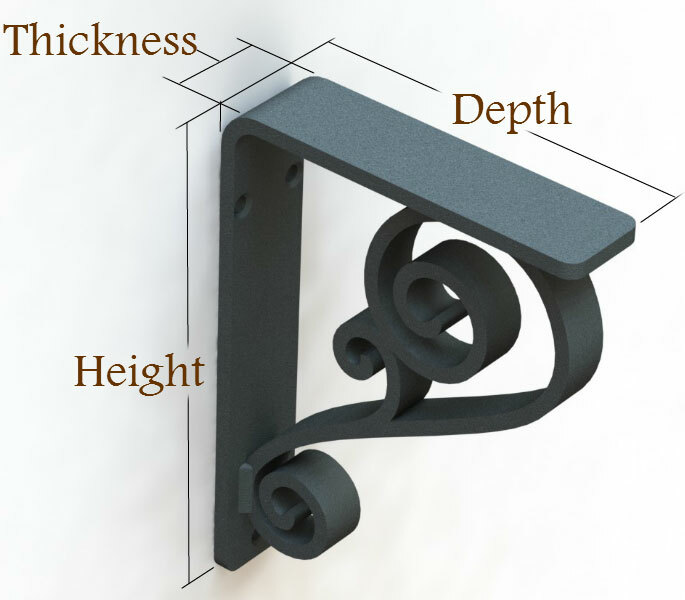 This iron corbel measures 1.5" wide and is available in a variety of bracket sizes from 5 x 7 x 1.5 to 10 x 12 x 1.5. Common uses for our Arts N Crafts Corbels include granite and stone counter top supports, shelving brackets, fireplace mantel support and much more. 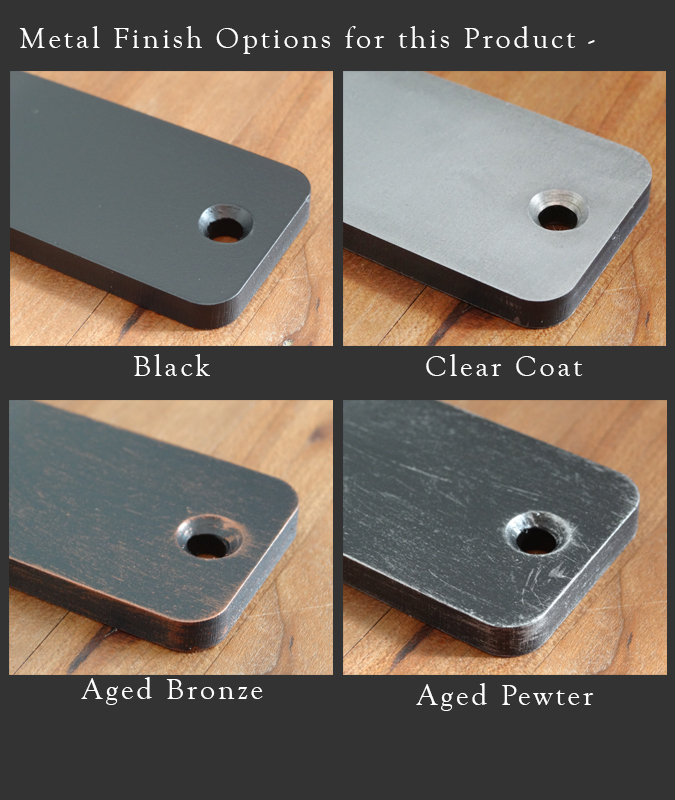 You can choose from four finish options including: Black; Aged Bronze; Aged Pewter; or Clear Coat (over raw metal). Choose "Raw Material" in the finish options drop-down for a ready-to paint product you can finish yourself. Very solid, very well made. Hefty - not a lightweight imitation. Precision welded. Impressed.